to guide and allowing you to work without tiring. Comes standard with wheel kit. 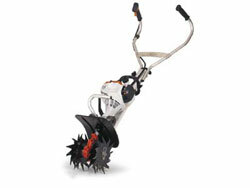 Other attachments are available to make the MM55 a convenient garden tool. 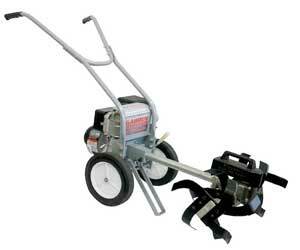 For almost 20 years gardeners enjoyed the lightweight versatility of the Masport Home Gardener Cultivator. Arguably the most popular domestic cultivator back in the 70's and 80's, it has been rebuilt to the original specifications so that a new generation of gardeners can enjoy the pleasures of backyard flower and vegetable growing.